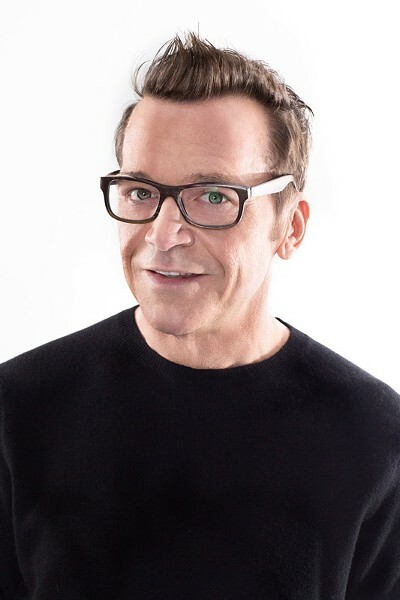 After his stand-up routine helped him get to the writer's table for "Roseanne" back in the 1990's, comedian Tom Arnold was vaulted into the spotlight after he eventually married Roseanne Barr herself. Through the 90's, Arnold found his way into more roles than anyone can remember, including projects with Arnold Schwarzenegger and Steven Seagal, and he would enter the 2000's by hosting "The Best Damn Sports Show Period." Prolific could be an understatement for the previous 15 years -- seriously, go look at Arnold's imdb.com page. Now Arnold has returned to his stand-up roots, and will be performing four shows at The Comedy Club in Webster on Friday, April 3, and Saturday, April 4. Arnold chatted with City Newspaper from his home in Beverly Hills about comedy, the challenges of being a dad with a crazy traveling schedule, and appearing on game shows, and he promises there will be a Steven Seagal story or two in his set. An edited transcript follows. You were away from the stand-up game for a bit while you were keeping busy with other things. How have you transitioned back? I always did stand-up stuff, whether it be corporate stuff or whatever. But I decided 5 or 6 years ago that if I really wanted to get back and do it, I had to build an act -- instead of just showing up and being a famous person. So I took a night at a comedy club here and every Wednesday night I worked on my act and built a little show. But then you gotta get out there. You owe it to the audience to have an act but you owe it to yourself, too. It's frightening to get up and kind of not know where you're going or not have confidence in what you're doing. I feel stand-up makes me a better actor and a better writer. You have to hyper focus or be omnipresent and all these things that are kind of hard for me ... I don't know if there's anything else I do that I feel better about. I certainly like working with good actors, and when it's going well, it's very special. But when stand-up goes well, it's not so much a job. The job is flying there ... I'm just always shocked that people come out to the show, it's a nice thing. I try to respect that and spend a little time in between shows with everybody. It's good for me. It's something I can't get sitting here in my house in Beverly Hills. I spend a lot of my time hiding out ... I got a boy that's turning 2, I'm a pretty private person, but when you get up there and do stand-up you gotta bring it. How are you meeting up to the challenge of being a dad given how busy your schedule is? I go out on the road a couple weekends a month -- I think in the past, if I wasn't shooting something I would book up as much as I could. But there's always a thought like ... I'm not gonna get another chance with this kid. I'm pretty sure I'll get another chance to go on the road, or do another independent movie somewhere. I know they say it goes fast: childhood. It seems to go pretty slow around here. The hours go slow, the days go fast. It's part of being an older father. I think if I would've been a father when I was 18, when I first thought I was going to be a father, that kind of guy as compared to being 54 and a first-time father, you're very aware that it's a finite amount of time playing on the floor with this kid and wrestling with him and doing all the physical stuff, and so you gotta get that in. When I see him on Sunday he will have changed a little bit from Wednesday. I have also gone away since he's been born to film for three weeks somewhere, and coming back you sort of reintroduce yourself ... I just am more cautious. If I do a job it's got to be something that I think, "Well, this is worth it. This is a good thing and it will make me better at what I do." You know, it will also pay the bills, which is something you think about to. I'm not as willy-nilly about saying yes to so many things. I still seem to work a lot but it's something my wife and I discuss on each opportunity. I just don't say yes, I come and talk to my wife about it, and we talk about my boy's schedule. She has the luxury of saying, "You don't have to do anything," and I'm like, "Well, actually I do." She doesn't understand the economics too much. It's something every parent everywhere faces, and mine is just that I'm on the road doing half of my work. You filmed the entire duration of the new Yahoo series "Sin City Saints" in Las Vegas. How exhausting was that experience? It was about two months but it seemed like two years. You know, if I tell people I had to live at a suite in Caesar's Palace they'd be like, "That sounds amazing, you're so lucky." But we lived there and filmed at The Orleans and various places around Vegas so it was 24 hours of casinos. It can be a little soul crushing. You think you were working a good program in your life and that Vegas isn't gonna get to you, but Vegas will get to you. It will win. But looking at it now, it also adds a little element of -- at least for my character who had sort of gotten worn out from Vegas -- added a little reality to it. Sometimes you do a show and say, "Oh, this is in Vegas," but you shoot the exteriors in Vegas and film somewhere else. But no, we were living there. So for whatever the show is, that part is real, so I'm happy about that. If it comes back I might like to do it a little differently, but you never know. I recently saw you on an episode of "Celebrity Name Game," and you had to have one of the best rounds out of any celebrity that's been on there. Are you always that energetic? Well here's the thing, when you're on a show like that, you are playing for other people's money. So you can say, "I'm gonna look cool," or you can say, "I'm gonna go for it like I would if I was playing with my family back in Iowa." When we played games, it was crazy, and you don't care what you look like. People say, "Oh my God, he's crazy, he's all hopped up on whatever," but I'm there trying to win these people some money and I don't care what it looks like. If you could act with either Arnold Schwarzenegger or Steven Seagal again, who would you choose? Arnold Schwarzenegger. One hundred percent ... We have great personal chemistry, whether we are doing charity stuff or whatever. And Steven Seagal, I mean, I'm going to tell stories in Rochester. There are so many things that happened working with him that I find funny but he doesn't. I told one of the stories on a show once and he called and was very sad. But he is very nice. Arnold Schwarzenegger is about my favorite person to work with period, so that's not a very fair question. Anytime you answer a question you're sort of saying something negative about the person that you don't pick to work with. Would I work with Steven Seagal again? Yes, of course. Did a bunch of hilarious stuff happen because he takes himself too seriously? Yes. My trailer (on the set of "Exit Wounds") was between [Seagal] and DMX, so I saw the weirdest stuff ever. To me that's so funny because then I leave there and I have these great stories, which I will share in Rochester. I have the best story of [Seagal] getting upset. I've also found that people who do these crazy things are incredibly sensitive about it. I never get upset when people do jokes about me. I considered it an honor when Chris Farley did an impression of me on "Saturday Night Live." I've been the punch line to many jokes. I never get offended because you know, for a guy who worked at a meat packing plant, for people to say my name and pretty much everybody know who that is, that's kind of amazing. So I try to take that out of it. It's too late to redo my whole career and only do smart things and only look intelligent and calm and all these different things. I'll take what I've been given. I'm certainly not -- and this is something I talk about a lot -- I'm not going to give power to have my feelings hurt by anonymous people on social media. And I see a lot of young people in my business that get so offended when somebody on social media says something bad about them. Why would you give them that power? Now my wife, she can hurt my feelings. She can destroy me. But I don't give that power to many people. These young actors and musicians who give that power to anonymous people on the internet, your life is going to be so hard. Now if the audience in Rochester doesn't like me, that's going to be a problem for me, but I will figure out a way to get them. That's my job and I will do my best and I'll figure it out. But people are sensitive ... There are certain people who take things so seriously that I've had to make amends and apologize to people, and it always surprises me. I don't like hurting people's feelings, that's the worst. But I will tell my Steven Seagal stories.